Can you guys believe that I’ve had this blog for nearly 6 years and have never once posted an alcoholic recipe? 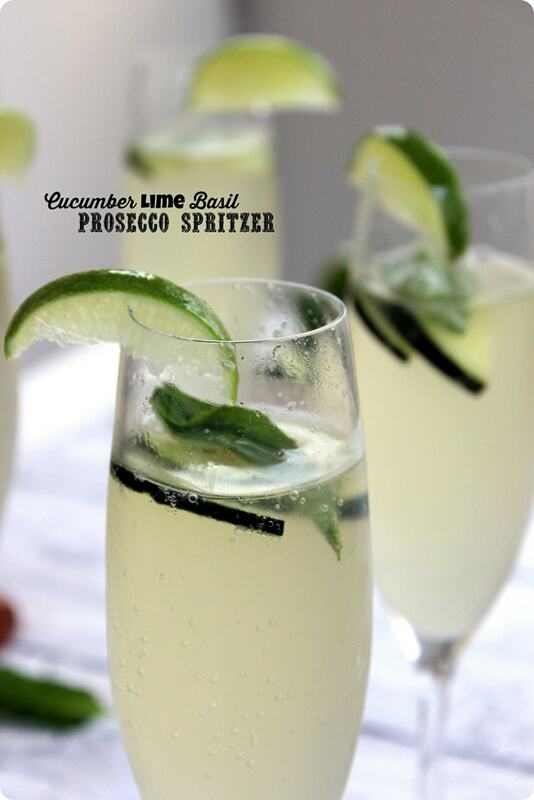 Clearly it was time to change that, starting with this refreshing and summery Cucumber Lime Basil Prosecco Spritzer. As for the base of the drink, I knew it had to be my most favorite alcoholic drink of all time: Prosecco. 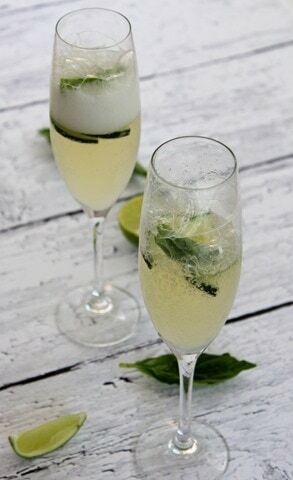 Cold, refreshing, and bubbly, it’s so perfect for hot weather. As I wrote in my previous “How to Eat Healthy on a Cruise” post, fruity blended cocktails are one of those “eh, not worth it” type things for me. I generally have a few sips before I start to feel sick from how overly sweet they are. But Prosecco, on the other hand? Definitely worth it. I had a glass most evenings on our cruise before dinner! Making this recipe is easy, and doesn’t require any fancy equipment at all! Step 1: buy a bottle of Prosecco. Step 2: make a cucumber basil infused lime juice to mix it with. Step 3: mix and drink! 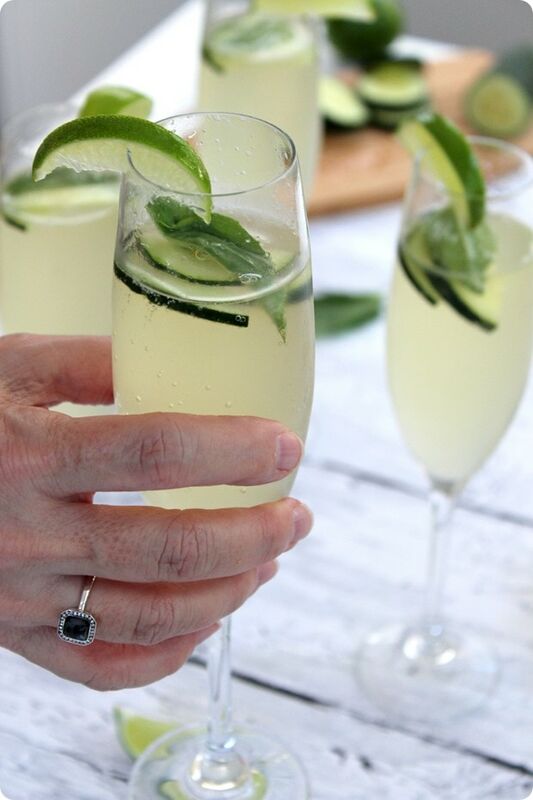 To make the cucumber basil infused lime juice to mix with the Prosecco, simply squeeze lime juice in a glass, then toss in a few slices of cucumber and some basil leaves. Stir it around a little and then pop it in the fridge for a few hours so it’s nice and infused (and cold). 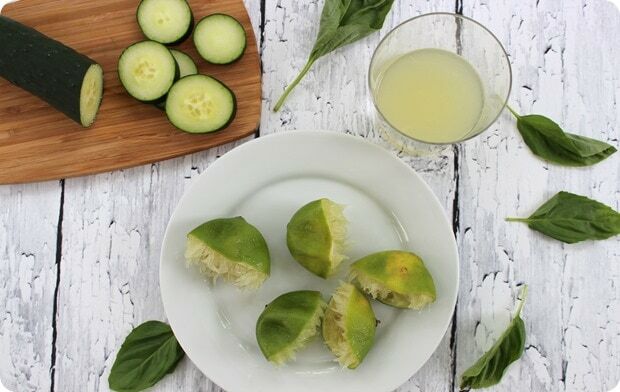 When you’re ready for happy hour, grab the lime/cucumber/basil mixture out of the fridge, then drain it so you separate the infused lime juice from the basil leaves and sliced cucumber. Then, pour equal amounts into all your champagne flutes. The full recipe (below) will make about 4 servings, and each glass should have roughly 1/2 an ounce (about half a shot glass) worth of infused lime juice in it. I added some fresh slices of cucumber to the mix, too. Plus another basil leaf. You can do this or skip it! Garnish with an optional slice of lime, and enjoy. My official fANNEtastic taste-testers (aka Matt and my mom) gave this two thumbs up. 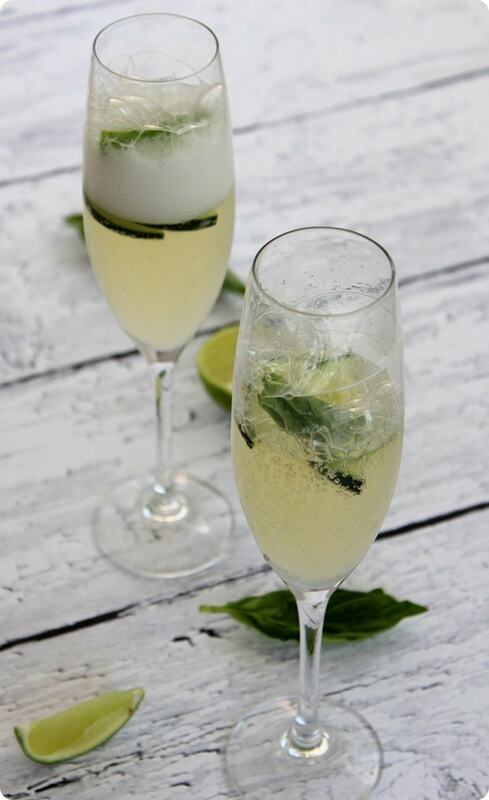 The flavor is so refreshing and unique – the cucumber hits you first, followed by a hint of basil, finishing with the tart lime and Prosecco fizz. We hope you love it, too, whether yours comes with a view of the ocean or not. Cheers! Refreshing and bright, this will be your new favorite summer drink. 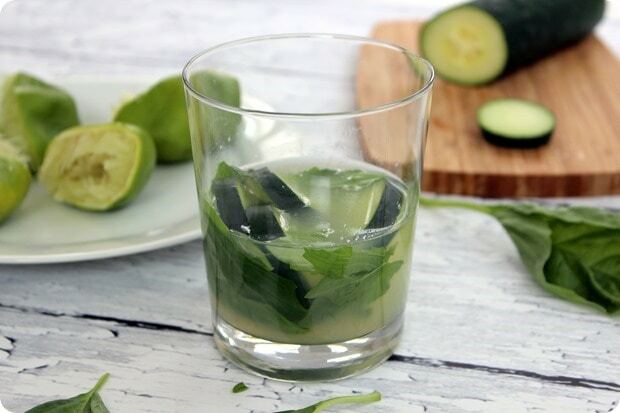 Place the lime juice, 4 basil leaves, and 4 cucumber slices into a glass. Refrigerate a few hours to let the flavors infuse. 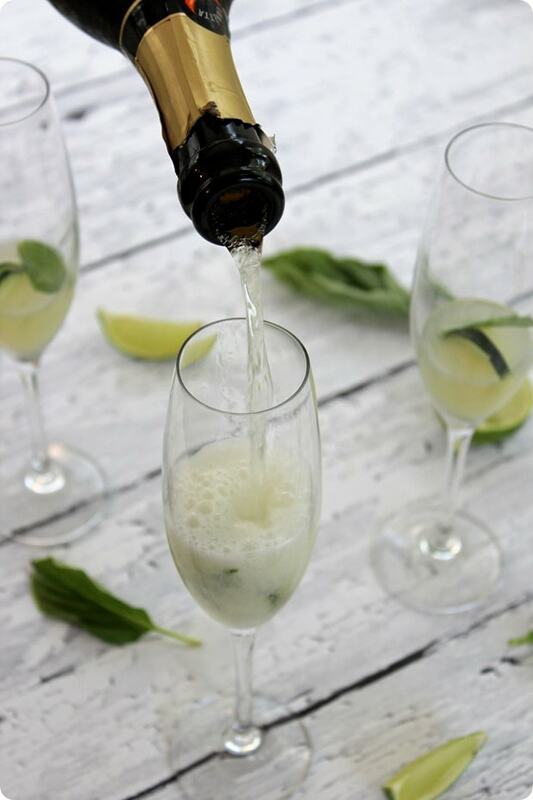 Fill the glasses the rest of the way with Prosecco. 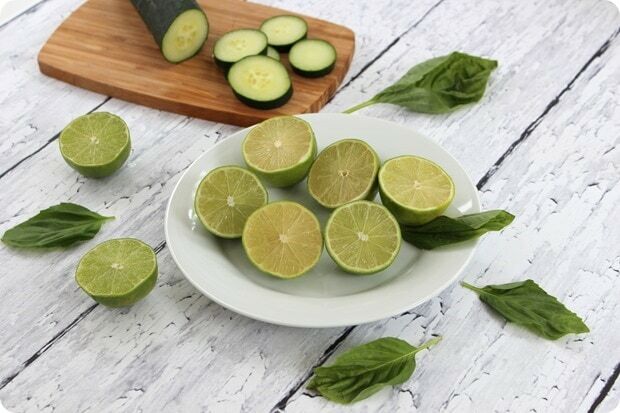 Garnish with remaining cucumber slices, basil leaves, and sliced lime, if desired. What’s your favorite summery/”wish I were on a cruise right now” drink? p.s. Want more cruise-inspired recipes? Check out my Caribbean Shrimp Quinoa Salad and Jamaican Jerk Turkey Burgers with Pineapple Salsa! 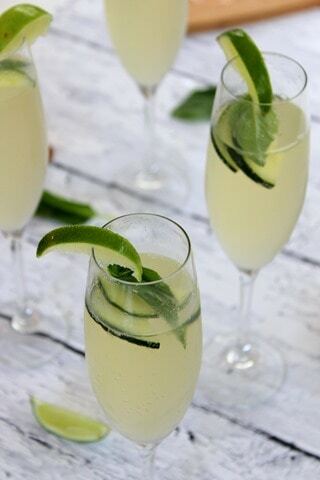 So refreshing for summer! 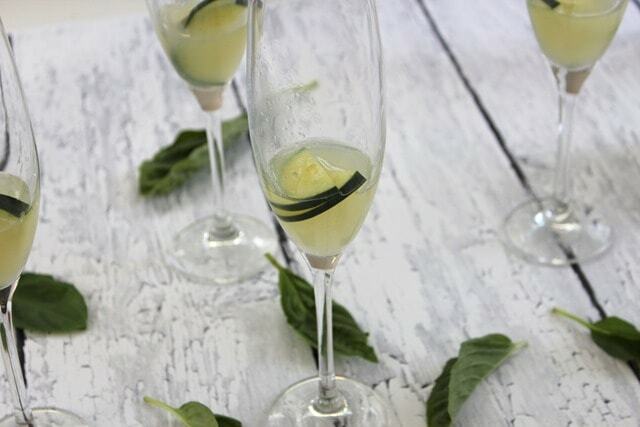 I love basil and I love it even more with alcohol! 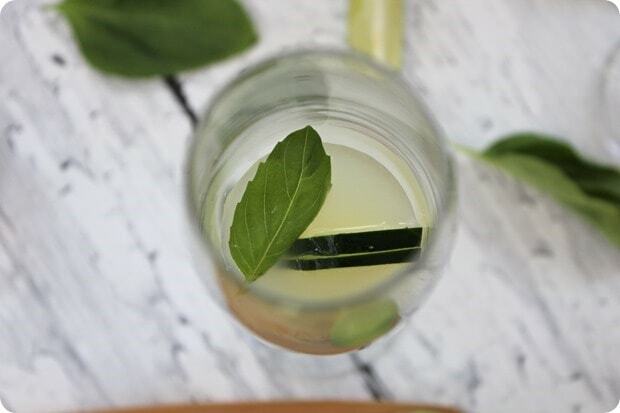 Cucumber, lime & basil — what a refreshing (green) combination! This is totally up my ally in terms of a cocktail. Looks very refreshing! This sounds so refreshing and perfect for sipping on the beach in some hot weather. I love adding fresh-squeezed lime juice to cocktails – so good! 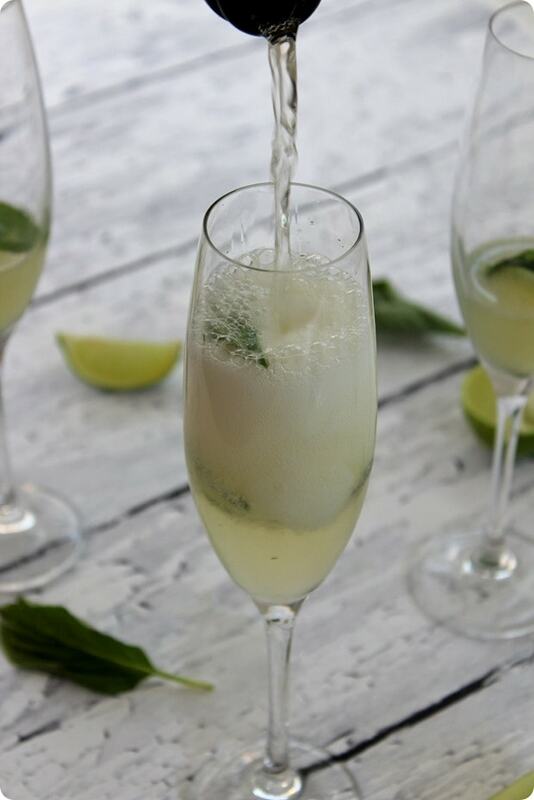 Prosecco is one of my favorite sweet drinks! I love the idea of adding lime to it – yum! What a lovely photo! And great recipe.. can’t wait to make! This sounds so delicious and refreshing! Now all I need is a handsome bartender to make endless amounts of these for me. ;) haha! Yum! This looks like it would be seriously refreshing on a hot summer day. This sounds so good! I’m pretty much obsessed with prosecco, so I know I would love this!